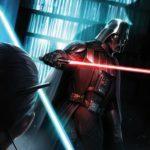 The 2016 prequel / stand-alone / spinoff movie Rogue One: A Star Wars Story introduced a new location that has taken on a pivotal role in the larger Star Wars lore: Darth Vader‘s castle on the lava planet Mustafar, where Anakin Skywalker lost his duel with Jedi Master Obi-Wan Kenobi (in Star Wars Episode III: Revenge of the Sith) not to mention lost several of his limbs. 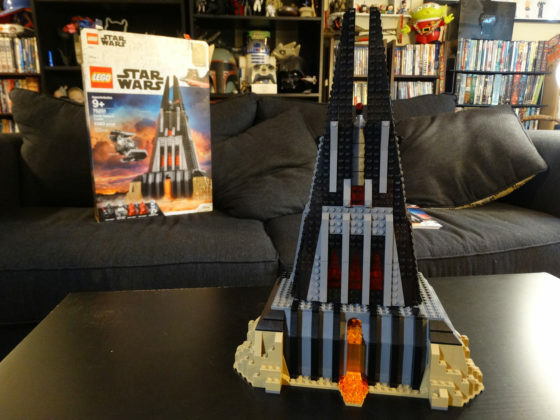 The castle has since appeared in The VOID’s fantastic hyper-reality experience Star Wars: Secrets of the Empire and has had its history fleshed out in Marvel’s Star Wars: Darth Vader comic book series. 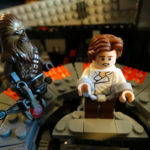 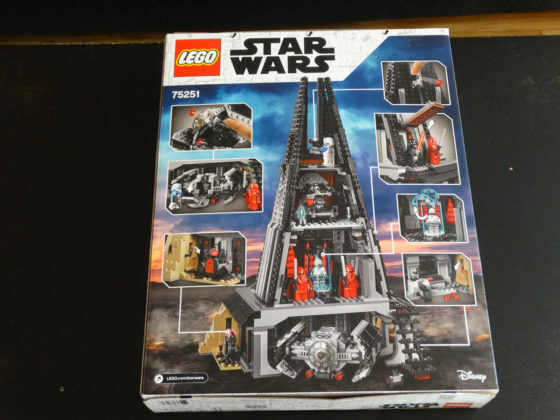 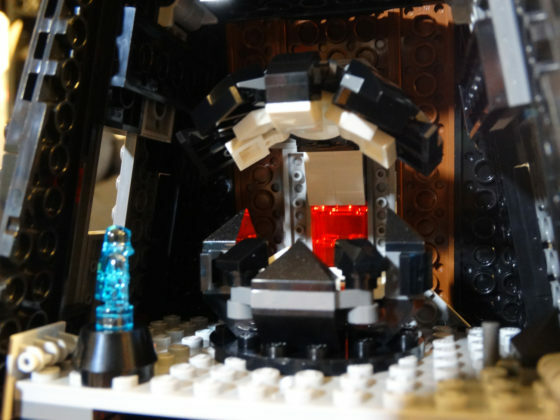 Now the internationally popular toy company LEGO has released its own playset version of Darth Vader’s Castle (LEGO set #75251) complete with Bacta Tank room, Meditation Chamber, a lookout turret, a Sith altar and Holocron, a Mouse Droid with charging station, and a small-scale build of Vader’s TIE Advanced ship. 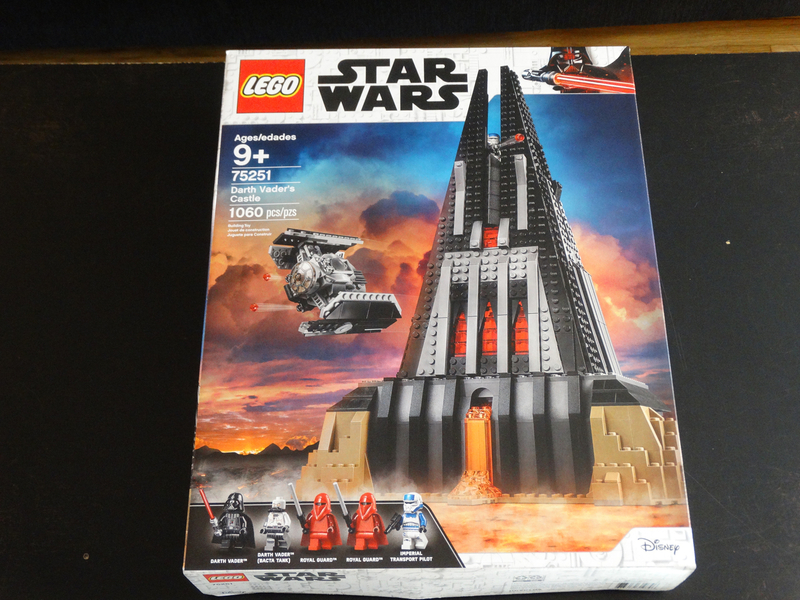 In the video review below, I take an in-depth look at the set and its features after unboxing and building the castle in time-lapse. 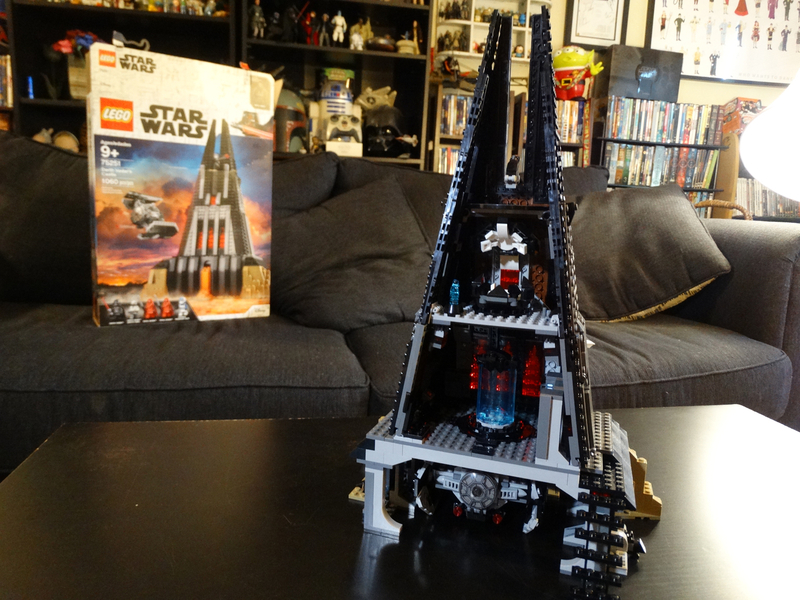 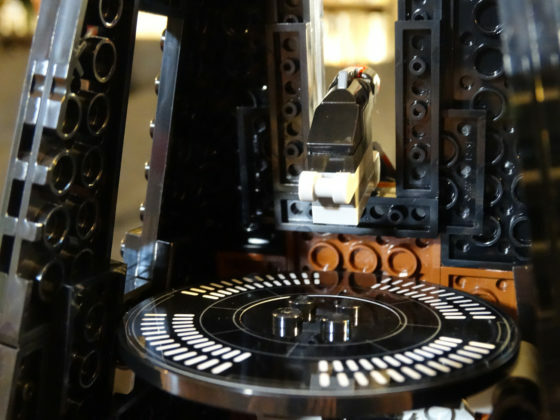 Darth Vader’s Castle is a really nice-looking LEGO set that will undoubtedly become a must-own for Star Wars fan, especially those like myself who enjoy Rogue One the most of all recent entries in the series. 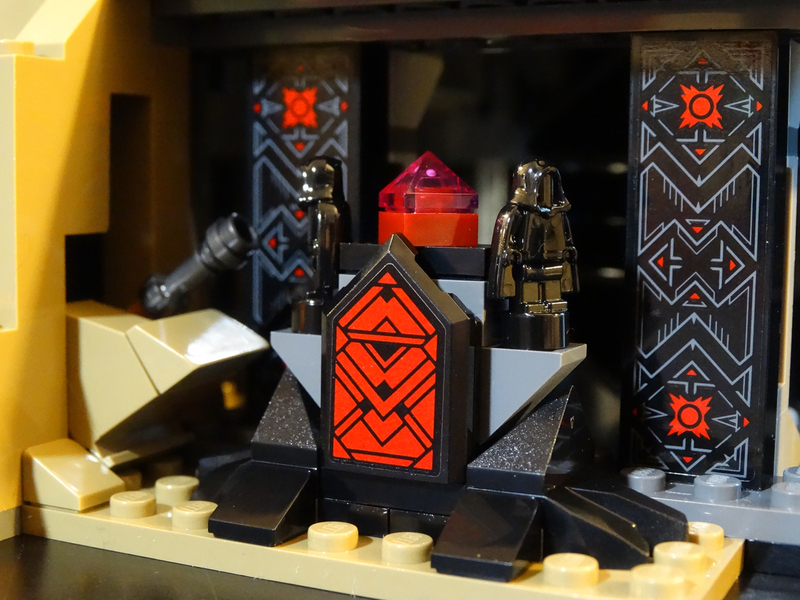 The castle’s lava feature is a really nice touch, and detailing on the lower level (especially with the Sith altar and Holocron) is top-notch. 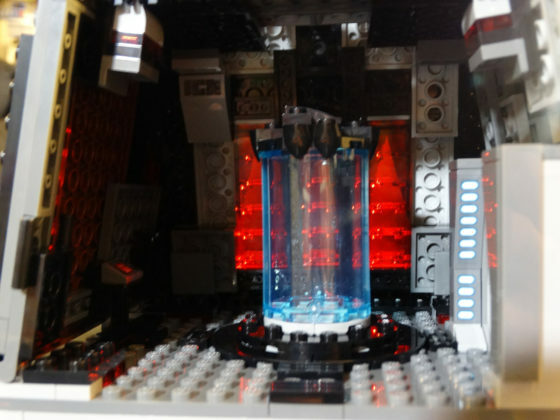 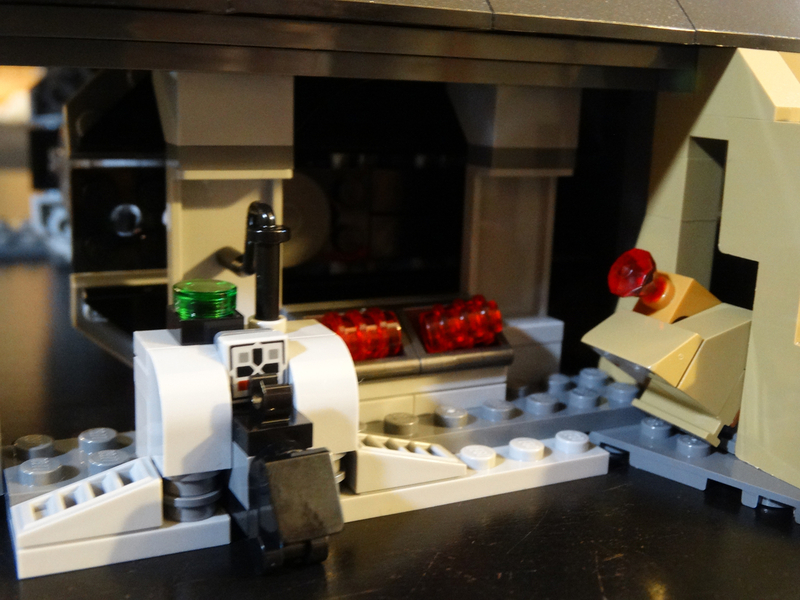 The Bacta Tank room has a very evocative lighting effect caused by translucent red pieces used to build the front wall of the structure, and the Meditation Chamber doubles as a communications room for Vader’s holographic transmissions to Emperor Palpatine. 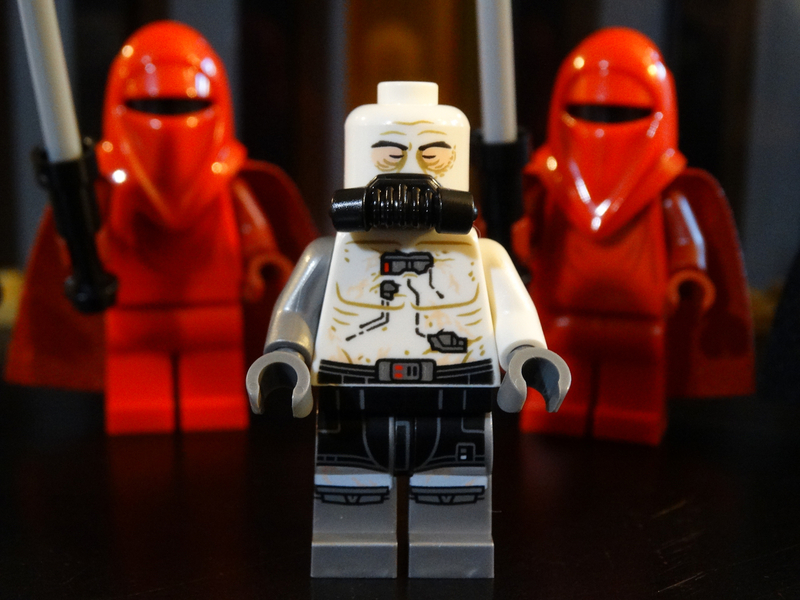 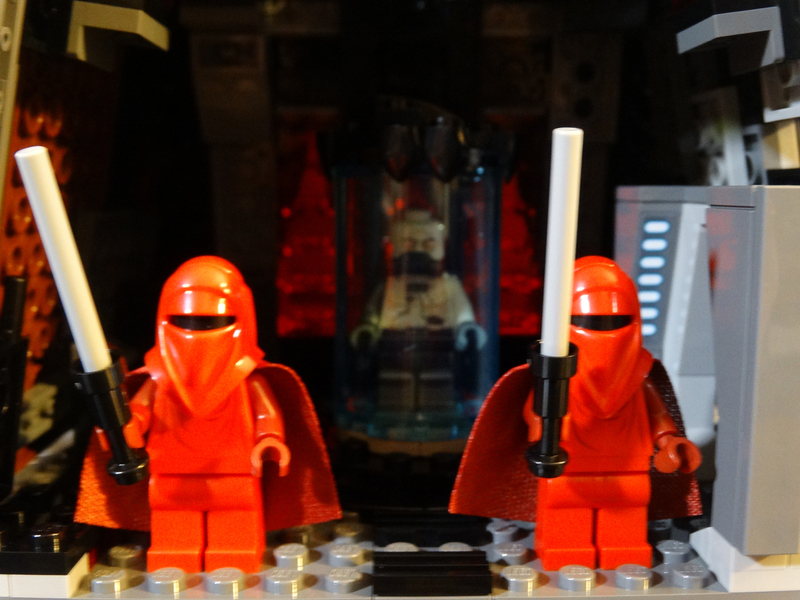 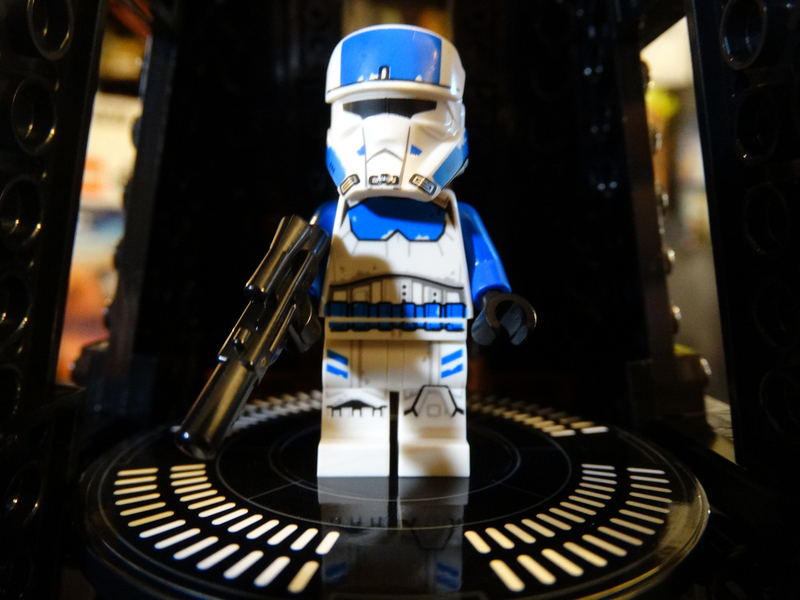 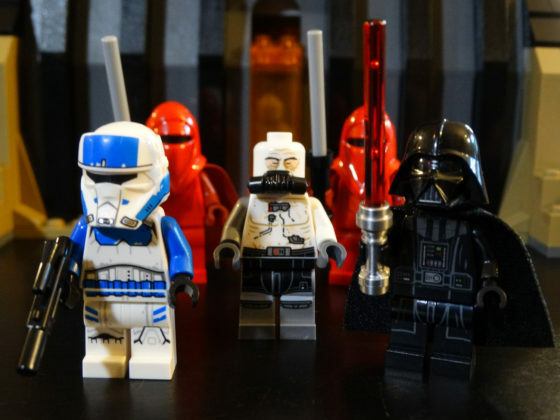 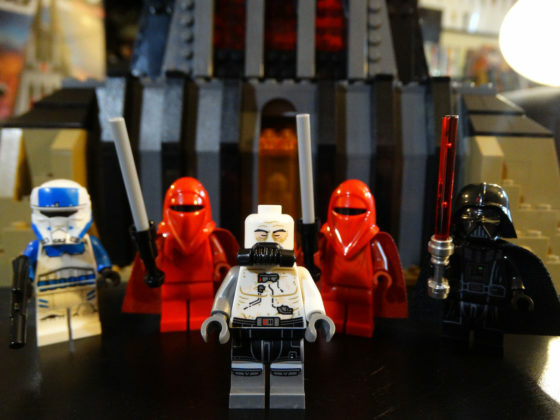 The five minifigures included in the packaging are Darth Vader, Darth Vader (Bacta Tank), two Royal Guards, and an Imperial Transport Pilot, all of which are excellent. 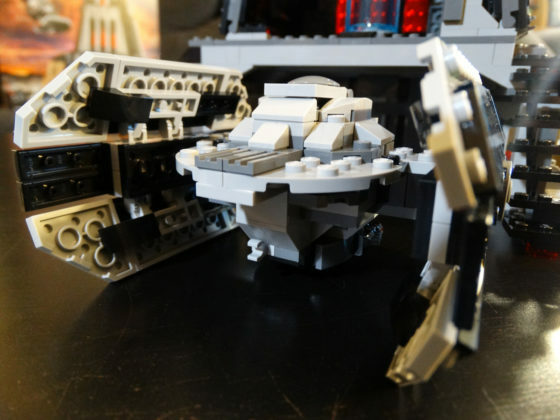 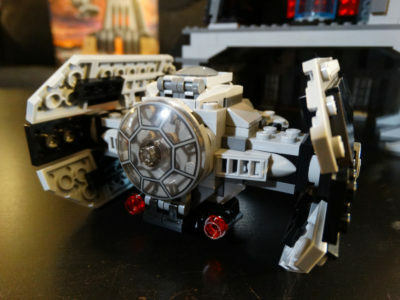 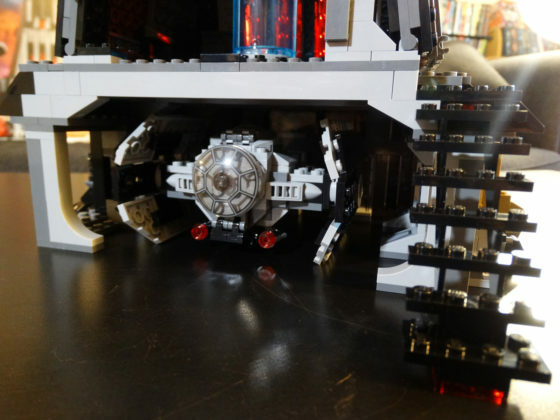 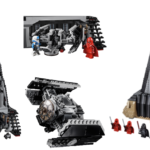 My only real complaint about this set is in regard to the scaling of the TIE Advanced, which is so compact I’m not sure why it even needed to be included. 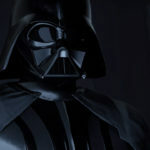 Vader can’t even see through the cockpit window, as the canopy is completely obscured by a circular plate behind it. My personal preference for playsets like this would be to do away with the ship and use the extra pieces for an additional room in the building itself. 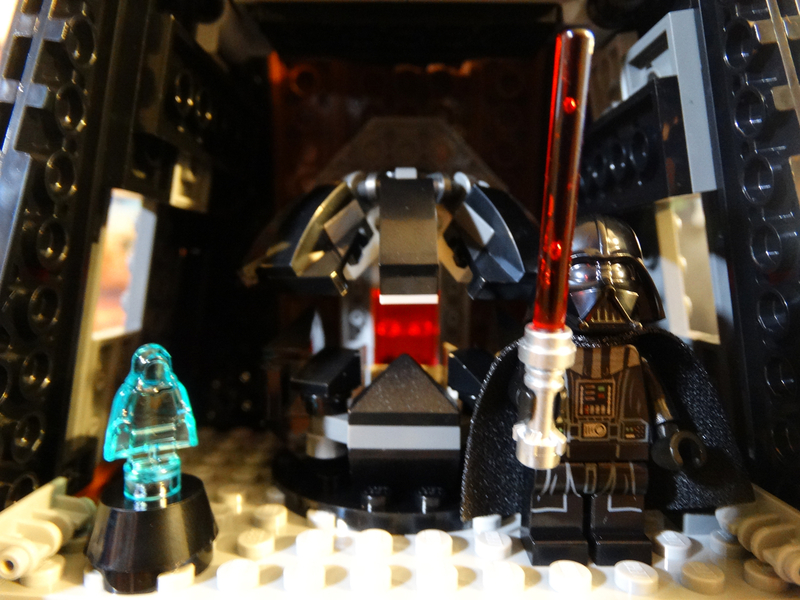 LEGO Star Wars Darth Vader’s Castle includes 1,060 pieces and retails for $129.99. 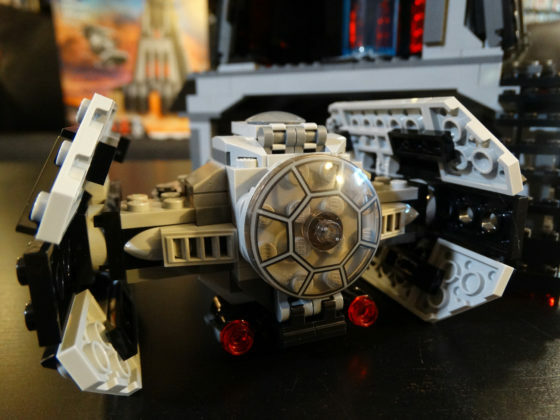 It is currently an Amazon exclusive but will become available via LEGO’s shop-at-home website this Saturday, December 1.